F**k. The Game is a hilarious new Aussie card game which will help you get smarter while swearing at your friends. 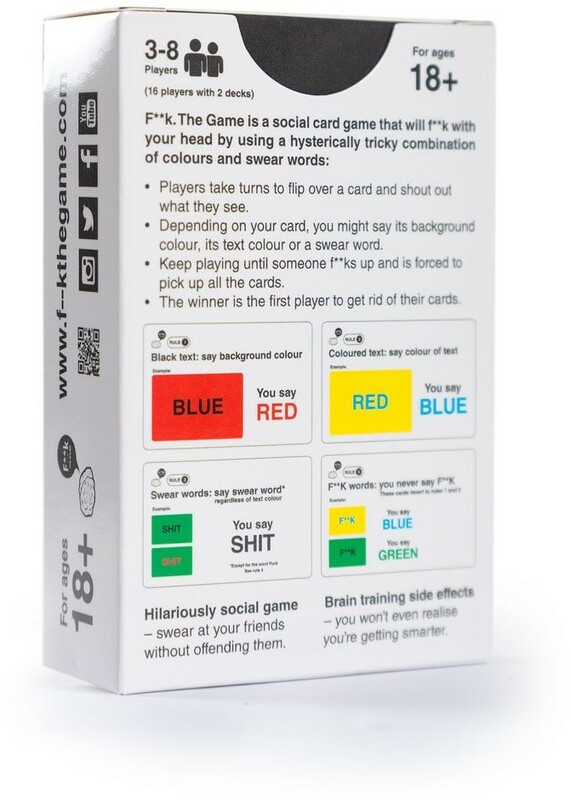 Players take turns to flip over a card and shout out what they see, depending on your card, you might say its background colour, its text colour or a swear word. 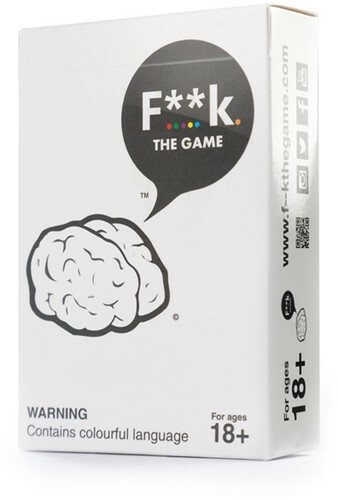 Keep playing until someone f**ks up and is forced to pick up all the cards. The winner is the first player to get rid of their cards! It sounds simple, but the cards use a psychological phenomenon – the Stroop effect – known to mess with your head and delay your brain’s response. Players can’t help but f**k up, sending the group into fits of laughter.